From left: Holy Cross Patient Care Techs Phyllis Johnson; Meco Clark; and Shirley Jenkins; Venson Curington (organizer); Bonita Williams (St. Bernard); Sandra Summage (Metro South, standing); Anne Igoe, VP of HCII Health Systems; Dec. 5th, 2018. 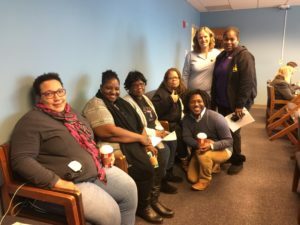 (December 6th, 2018, Chicago) – Hospital workers from SEIU Healthcare Illinois attended the Hospital Transformation Committee hearing on December 5th to present proposed rules that should guide the legislature in Phase Two of the Transformation Program. These new rules will determine the criteria for how to distribute federal Medicaid dollars to various hospitals who apply and how much money they would receive. 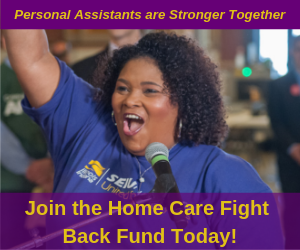 Anne Igoe, Vice-President of the Health Systems Division for SEIU Healthcare, testified to the committee and laid out the four fundamental values that legislators should adopt. 4-Projects should expand services and invest in the hospital service workforce through higher wages and more affordable healthcare. SEIU’s proposed rules and testimony were a direct challenge to the Illinois Hospital Association and its agenda. 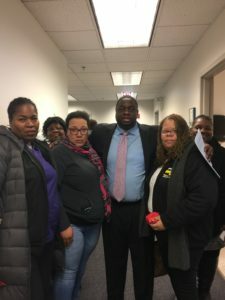 In essence, SEIU Healthcare stated that corporate health systems and wealthy non-profit hospitals should not be able to access federal Medicaid dollars for transformation projects when wealthy systems already have the resources to initiate their own projects. “Today we revealed our Union’s core values that safety net hospitals should be given first priority when it comes to distributing federal Medicaid dollars for Illinois’ Transformation Program. Our message to these wealthy hospitals is, quite frankly, get in the back of the line. “It is our safety net hospitals who need and deserve the most investment as they transition their health services and business models to be more financially stable. “The Hospital Provider Assessment, and now the second phase called the Transformation Program, was intended to support safety net hospitals that serve low-income communities and high Medicaid populations. It was never meant to be a ‘grab bag’ for any wealthy hospital or corporate system to take advantage of federal dollars and then use them for whatever project they determined to be useful and without any accountability. 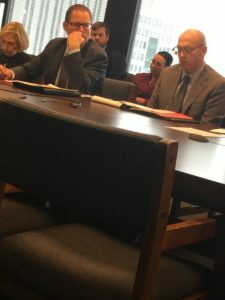 “Part of the SEIU’s recommendation is as a robust opportunity for stakeholder and community input in addition to a requirement that any project must focus on defined health disparities. This is in contrast to the IHA recommendation that priority funding go to hospitals who choose to cut inpatient services.